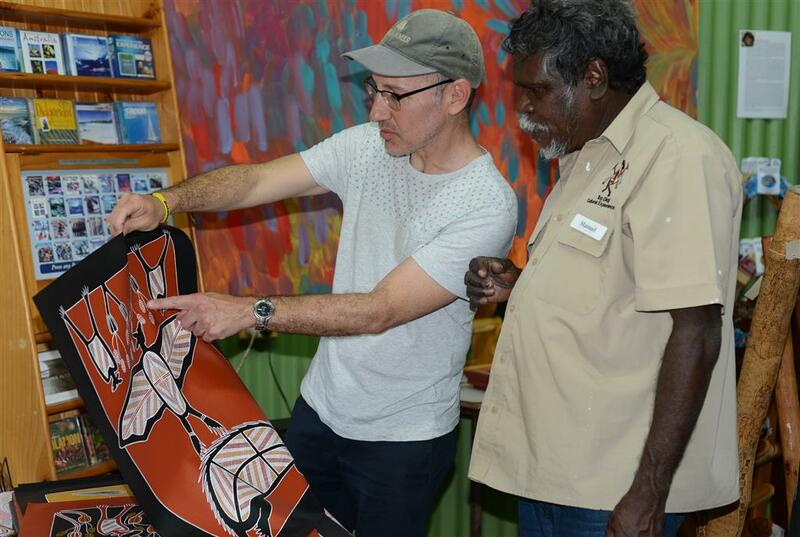 Top Didj & Art Gallery offers a genuine Aboriginal Cultural Experience. 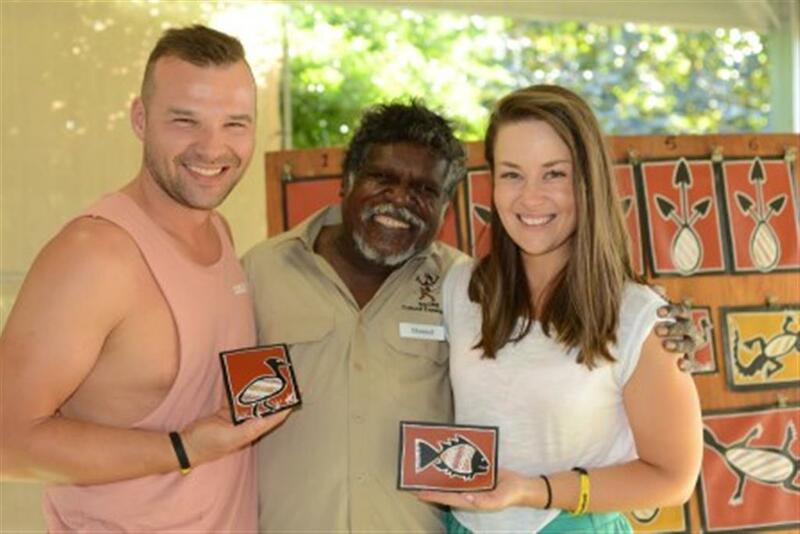 Manual Pampkal,winner of the Tourism NT Brolga award 2013,our exuberant resident tour guide is happy to pass on his traditions from tribal life, language and Aboriginal contemporary life to offer you a once in a life time experience. 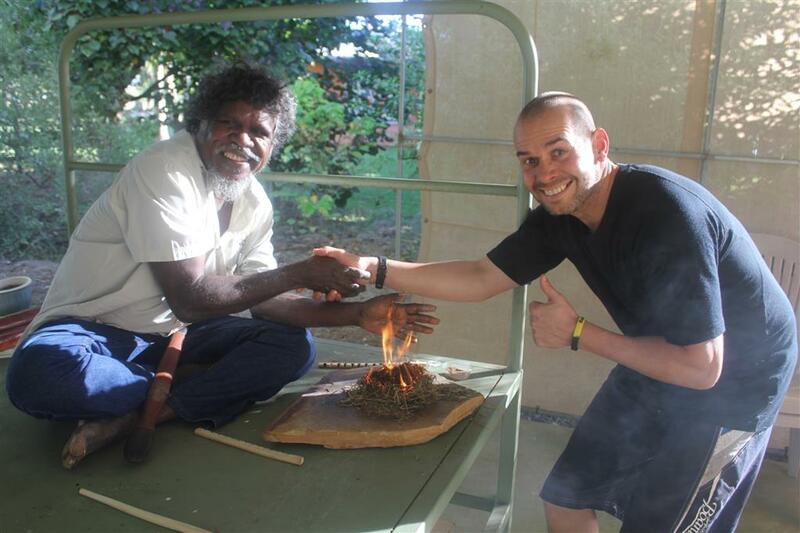 What will I learn as part of the Aboriginal Cultural Experience tour? 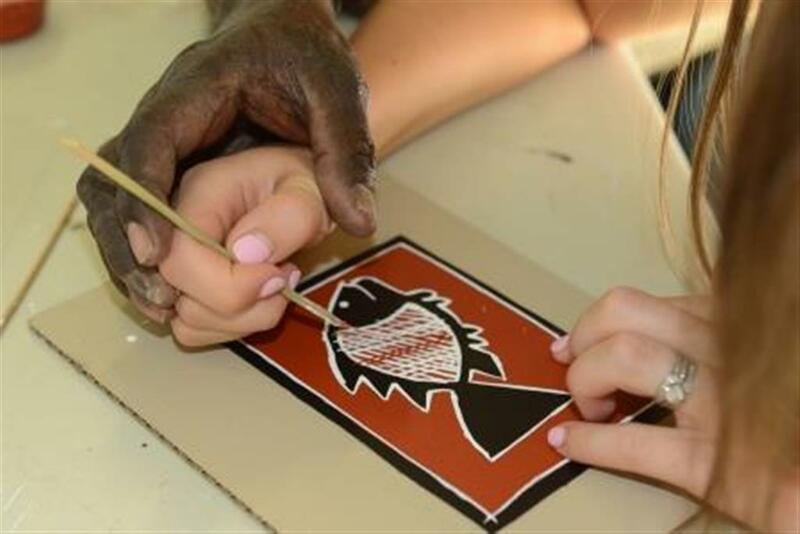 Manual will start by playing a traditional tune on his didgerdioo and tell you stories of his life growing up in the bush, then he will teach you the fine art of Rarrk Painting and give you the chance to paint your own masterpiece using an brush made out of a reed called a julk. 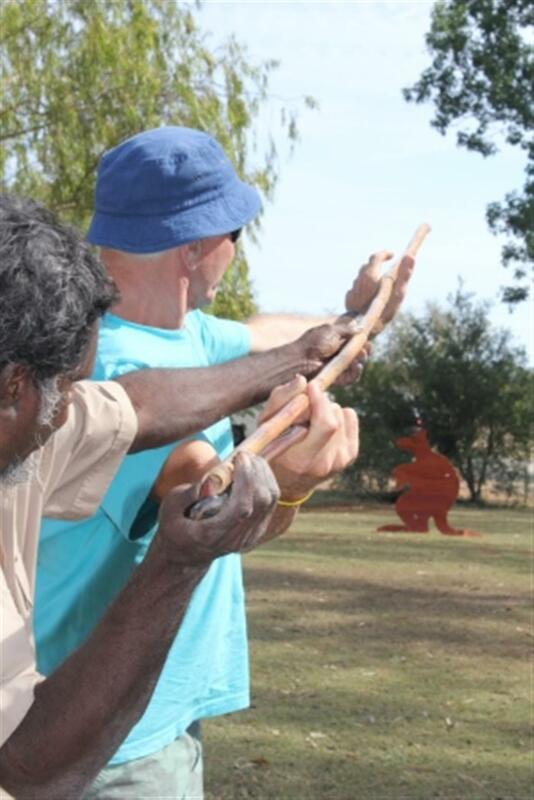 You will have the opportunity to participate in fire lighting and get to throw a spear with a woomera. 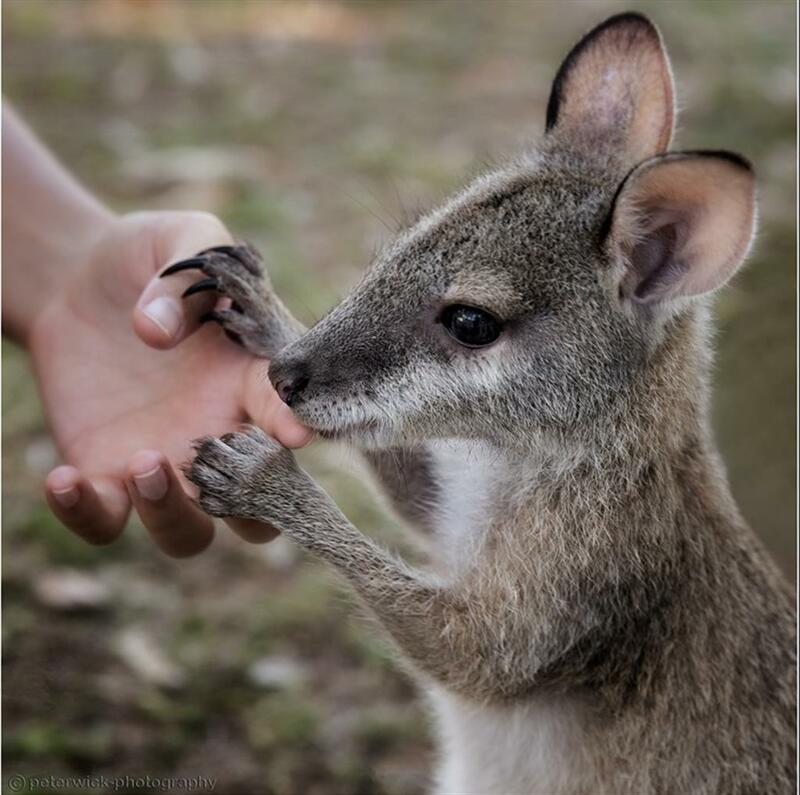 ...and also get a chance to have a glimpse at the resident wallabies. Please respect the wishes of the guide.